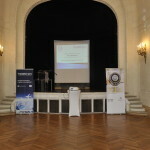 The final event of the TransNetAero project was successfully held at the Ambassade de Belgique in Paris on 15. June 2015. Surrounded by a scenic atmosphere, participants from Aerospace regions all over Europe had a final chance to listen to interesting talks and get in contact with each other. 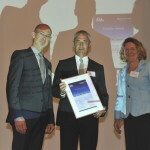 During this event the TransNetAero Awarding Ceremony also took place. Results and lessons learned of TransNetAero have been presented by Prof. Dr.-Ing. habil. Monika Auweter-Kurtz as Project Manager. 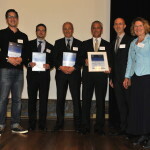 As Director of the German Aerospace Academy she also awarded the winner and nominees of the TNA Knowledge Transfer Award.